This took way longer to get than it should have! This was enjoyable. I would give it a solid 3.5. I’m not sure if this is starting another Saw franchise but it definitely seemed like the start of something. I saw Coco!! It was so sweet. A really lovely animated movie. If you are looking for something to spend your money on, this is what it should be. Boyfriend and I started watching Vikings. I am addicted. Such strong characters–especially the women– and plot lines. Everyone has to make hard decisions and all you do is watch them, on the edge of your seat, biting your nails. We also started and finished Mindhunter. 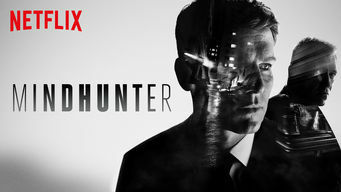 Very addictive even though you could tell that it is mostly setting up for a real intense second season. I am so excited! The post I did, Top Ten Books I’m Thankful For, got the most love this month. I’m pretty proud of it even though it has only seven books actually. Bleed, Blister, Puke, and Purge: The Dirty Secrets Behind Early American Medicine by J. Marin Younker–A DNF because the library needed it back. Meddling Kids by Edward Cantero–Another DNF because it just wasn’t for me. The Language of Thorns by Leigh Bardugo– my review was a 5/5. You Don’t Know My Name by Kristin Orlando– my review. Daughter of the Burning City by Amanda Foody– technically I finished it on November 2nd but I only had thirty pages left and got busy. Review to come! My favorite post this month was a recent one, My Writing Cockpit, all about how I make the words flow. Go check it out! NaNoWriMo– I’ll probably post about this but I didn’t win for the challenge in a traditionally sense but I won for me! I focused on my story and wrote more than I ever have before. Blogging on a regular schedule– win! I mostly wrote on a regular schedule. Find another TV show–Win! Vikings, Mindhunter, also rewatched Friends and started Gilmore Girls. Try to get on an even more regular schedule, writing my posts before and posting it so it gets up in a good time. Read more books! Santa will get me some amazing books and I’ve rediscovered the joys of the library when I found a beautiful new library where boyfriend lives. A personal goal–work out more. I have started doing it about every three days which makes me feel great! I want to try even more workouts. Get really awesome gifts for friends and family. I actually have a job so I can actually get my loved ones something good! Let’s chat! How did your month go? Did you accomplish your goals? What does next month look like for you? Thank you, Sophie! 🙂 Always great to hear from you!